Google Home can now double-up as an intercom in your house. And it doesn’t matter whether you’re actually at home or out and about. This should make calling your kids down for dinner simpler. That is unless they’re just as likely to ignore Google Home as they are to ignore you. Unlock the "100 Useful Google Home (and Google Assistant) Commands" cheat sheet now! Whether or not you currently own any smart home devices, these interconnected gadgets are likely to power different aspects of your life in the future. However, it’s still early days, and the likes of Amazon’s Alexa and Google’s Assistant are still learning to communicate on your behalf. Google has taught your Google Home a new skill. And this one lets you broadcast messages to all Google Home devices in your house using Google Assistant. You simply tell Assistant to broadcast a message and that message will then be played out across your Home devices. Assuming you’re signed into the same Google account as your Google Home you can even broadcast a message from afar. So, for example, you could say, “OK Google, broadcast I’m on my way home!” from your place of work. Google will even add playful elements to some messages. This may not be a crucial skill everyone will use every day, but it’s a nice demonstration of the power of Google Home. It also shows how Google is trying to build its own ecosystem of devices that play together nicely. Which is crucial for any company hoping to control your future home 5 Easy-to-Setup Smart Home Gadgets for First Timers 5 Easy-to-Setup Smart Home Gadgets for First Timers Smart home automation sounds awesome in theory, but a lot of folks are hesitant to try it out because the learning curve seems hard. If that describes you: it's easier than you think! Read More . 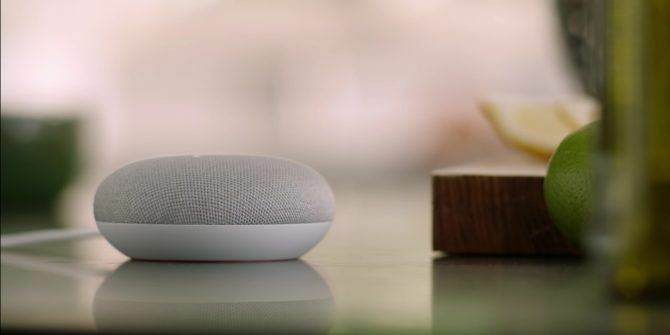 Do you own a Google Home device? If so, what do you use it for? Will you be making use of Google Home’s new ability to act as an intercom? Will you actually pass on important information, or just use it to troll members of your family? Please let us know in the comments below! Explore more about: Google, Google Assistant, Google Home. What would be really useful is to be able to intercom to one specific room!